Home Event CRM Boot Camp for Dynamics 365 | Minneapolis Be the first to comment. This instructor-led course provides a key step for CRM for Microsoft Dynamics 365 administrators and customizers who are beginning or advancing their knowledge of CRM for Microsoft Dynamics 365 in their learning evolution. With the evolution of the Dynamics 365 product, this CRM Boot Camp course will focus on the core out-of-the-box capabilities while driving understanding surrounding the competencies needed for attendees have big impacts for their organization. This fast pace CRM Boot Camp covers the latest and greatest Microsoft new feature releases to ensure that attendees are empowered to leverage the full capabilities of their organization’s Dynamics 365 environment. Want a more detailed agenda? Check it out here! This course offering is designed to support individuals who will be administrating or configuring CRM for Microsoft Dynamics 365. This course provides attendees who have limited or no exposure to Dynamics 365 a breadth understanding of the solution. Attendees who are migrating from a previous version of CRM for Microsoft Dynamics 365 or database solution will find value in learning new features and functionality of the most recent release. This course is not recommended for end users. 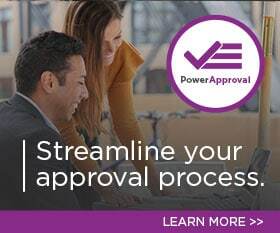 Notice of non-compete policy: Training registrations will not be accepted from people or organizations who currently or have the potential to offer competitive services to PowerObjects. Pricing includes training resources, including a printed copy of a lab book. Additionally, a light breakfast, snacks, and lunch are included in this price. PowerSuccess and PowerPlus participants should inquire about discounts on training. Training will begin at 8:30 AM each day and be completed by 5:00 PM (training will end at approximately 12:30 PM on Friday). Beverages, snacks and lunch will be provided. This course provides Dynamics 365 administrators and customizers key knowledge surrounding PowerApps. This course specifically explores model-driven PowerApps through the lens of Dynamics 365. This course provides Dynamics 365 administrators and customizers key knowledge surrounding PowerApps. This course specifically explores canvas-driven PowerApps through the lens of Dynamics 365. Take your business further with CRM Developer Extending for Dynamics 365 training. Learn how to make your Dynamics 365 work for your organization!